Do you love sleek, stylish hair? Are you tired of battling every morning with a hairdryer? Then a quality hair straightener is just what you need. Hair straighteners allow you to effortlessly style your hair in no time, and the best thing about hair straighteners – you can do more than just straighten your hair. Natural curls and waves are at your fingertips when you use the very best hair straightener. With such a huge variety of straighteners on the market, we have done all the hard work for you and found the best-rated hair straighteners. The GHD brand is synonymous with hair styling all over the world and is possibly the most popular brand on the market. It’s barrel-shaped design make it perfect for creating natural waves and curls, but also straight styles. This straightener heats up quickly and is ready to use almost instantly, wasting no time, and the ceramic heater technology eliminates unwanted frizz. 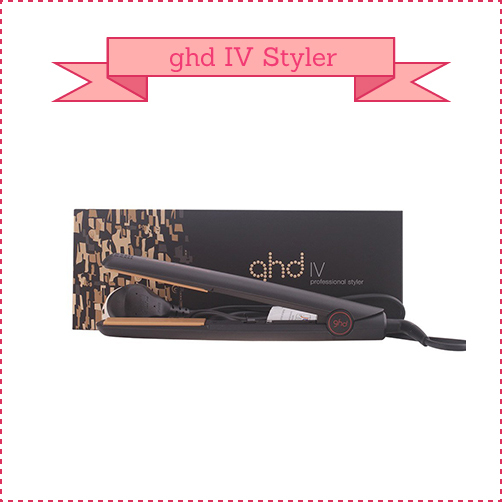 The GHD IV Styler will automatically shut off if you leave it unattended for 30 minutes. The two-year warranty gives you confidence in the quality of the product. Universal voltage makes it the perfect hair styling travel tool – you will get the same performance wherever you go. It is more expensive than most of its competitors. This particular GHD has slightly smaller plates, meaning it could take a long time to style your hair, especially if it is long or thick. Any hair straightener review will tell you that this is one of the best hair straighteners money can buy, and we can’t argue. You get quality, safety and a long-lasting product to keep you looking great for years to come. 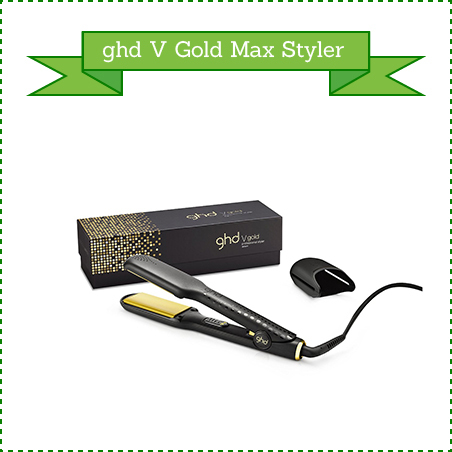 The GHD V Gold Max Styler is a wide plate straightener that is ideal for long and thick hair. Smooth, contoured plates create a salon-style finish without having to pay for a professional stylist. 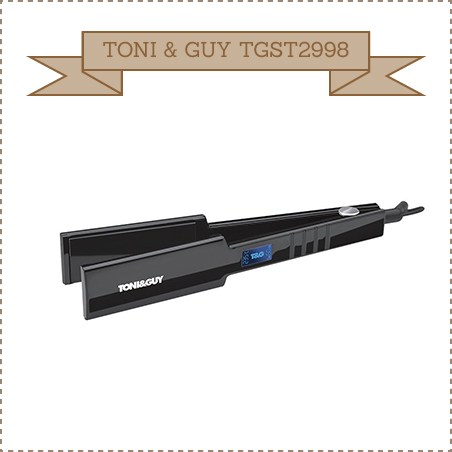 It is a reliable, long-lasting straightener from one of the best brands in the industry. Wide plates make for quick work. Automatic sleep mode is implemented after 30 minutes without use. Heats up in 30 seconds. A protective plate guard is included when you buy the GHD V Gold Max Straightener. The price of this straightener is more expensive than others on the market. Wide plates limit the number of styles you can create, such as curls. This is the ideal straightener for those with long, thick hair. If you have never purchased a straightener before, you can’t go wrong with one from GHD. They are easy to use and very reliable. 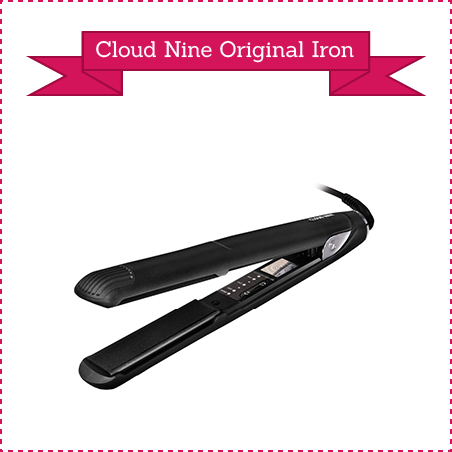 Cloud Nine offer an elegant and sleek straightener. The all-over black colouring is unique and modern, not only will your hairstyle turn out fabulous, but you’ll look good in the process. Temperature can be changed with the touch of a button, and the long swivel cord means easy manoeuvrability. The lengthy two-year warranty covers you if the product breaks in this timeframe. The adaptable plug means you can use the straightener in the UK and Europe without having to carry an adapter. Hibernation mode and the protective heat guard provide a sound peace of mind. Cloud Nine is an expensive straightener. If you have some cash to splash and want something stylish and elegant, then buy the Cloud Nine Hair Straightener. It can easily be used across Europe and the U.K., making it the perfect travel buddy. Remington has created a straightener that will help keep your hair in great condition. Keratin and Macadamia protective technology will give your hair a professional finish. We love that this straightener steps away from the traditional colour scheme of black and pink – the pale lavender is feminine and classy, just like you. A swivel cord provides easy manoeuvrability. Five heat settings allow for personal preference. Heats up in 15 seconds! A heat-resistant storage pouch is included. It may be time-consuming to style long and thick hair due to the narrow plates. If you are concerned about heat damage from your straightener, then this is the product for you. It will create great styles while nourishing your hair at the same time! If bling is your thing, then you will adore this gold coloured straightener. The salon-strength infrared heat will style your hair with the feeling of ‘just conditioned’. The longer length plates will be sure to leave you with silky, soft and stylish hair. A gold heatproof provides practicality and luxury. The barrel-style end helps create a variety of hairstyles including straight, wavy and curly. A digital LCD temperature control makes reading the temperature quick and easy. 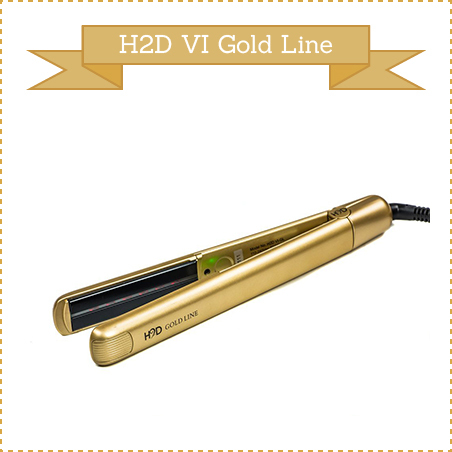 The H2D VI is expensive when compared to other hair straighteners available. The narrow plates may increase styling time if your hair is thick or long. If you have a little cash to splurge with, then this straightener has it all. It combines function with luxury, not only will you have salon-quality hair but you will feel glamorous while styling. 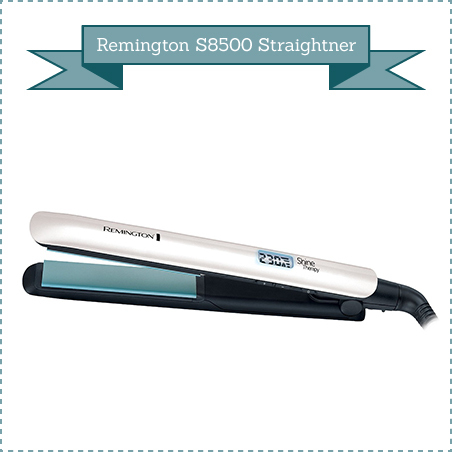 Style and treat your hair at the same time with the Remington S8500. Plates coated with Moroccan Argan Oil and Vitamin E will leave your hair feeling silky soft and smooth. The easy to read LED display will let you know which one of the nine heat settings you have chosen, and you will be styling quickly thanks to the 15-second heat up time. Remington offers an extensive five-year warranty to provide you with peace of mind. It is cheaper than many other straighteners on the market. Remington is a familiar and trusted brand in the hair styling industry. Floating plates mean that even pressure is placed on your hair as you style. The narrow plates may make styling long, thick and curly hair time consuming. For quality and reliability at a great price look no further than the Remington S8500. Your hair will remain glossy and healthy looking, despite the heat from the straightener, thanks to the addition of Moroccan Argan Oil and Vitamin E.
For a salon-style finish try the Tresemme 2066U. TRESemme is a very reputable brand in the world of hair styling. It heats up quickly and has a long cord to make styling your hair a doddle. When you are done, simply store your straightener in the included pouch for next time. Heats up to 230 degrees in 15 seconds! 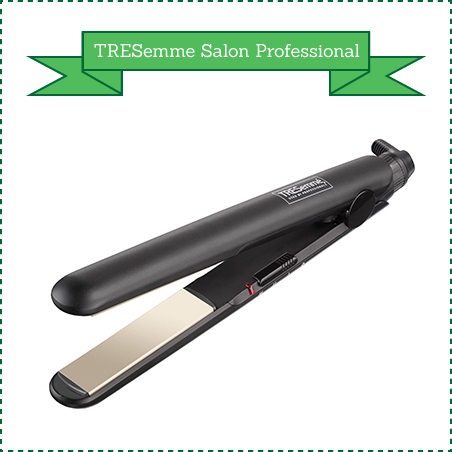 The TRESemme 2066U is far cheaper than many other straighteners. Safety shut off time is 72 minutes, far longer than many other straighteners. For a cheap yet effective straightener, look no further than the TRESemme 2066U. It is a great introductory straightener for beginners or young users, although youngsters may need to be reminded to turn it off because the safety shut off time is quite long. Elegant and feminine come to mind when looking at this straightener. The unique burgundy colour, ceramic heating system and three heat settings contribute to an aesthetically pleasing and efficient styling tool. The cost is very reasonable, making salon-style hair very achievable. Longer plates mean you can style your hair faster. Worldwide voltage allows for effective use all over the world. Swivel-style cord makes manoeuvring the straightener easy. Stylish travel case is included. Long and thick hair may take a long time because the plates are narrow. This budget-friendly straightener looks amazing and will make sure your hair does too. It may not be as effective as some of the more expensive straighteners but is great if cost is something you need to consider. Floating ceramic plates on the She Straightener make styling your hair a breeze. It’s great for straightening as well as curls and waves. This lightweight straightener is easy to handle, and the long swivel cords ensure you won’t tangle yourself as you style. A quality straightener at a fraction of the price of more popular brands. Comes in pink and black. Heats up to 210 degrees. There is no heat control setting, so you are unable to lower the heat to prevent damage to your hair. This straightener may be slightly inferior than some of its competitors, but the price is ideal for consumers on a budget. It will do the job nicely, just remember to apply a heat protectant to avoid heat damage to your hair. Toni & Guy are a known and trusted brand in the hair styling industry. This wide plate straightener is one of the best hair straighteners in the UK and competitively priced. The wide, tourmaline coated plates help you create frizz-free straight hair in a matter of minutes – even on long thick hair! 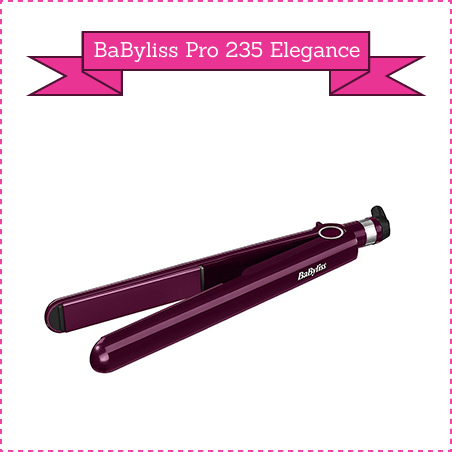 Heats up to 235 degrees for fast-action straightening. Toni & Guy offer a five-year guarantee so you can rest assured they have you covered if anything goes wrong. For a popular salon brand, the straightener is within a low budget. You can style long and thick hair efficiently courtesy of the wide plates. The three-metre cord means that you will be able to plug the straightener in anywhere and still reach the mirror comfortably. The wide plates minimise the amount of styling possibilities. Accessories, such as heat mats and styling clips, need to purchased separately because they are not included with the product. This is a quick and effective straightener for long, thick hair. Toni & Guy offer superb quality and a length guarantee. It’s no surprise that many customers claim it is one of the best hair straighteners in 2017! 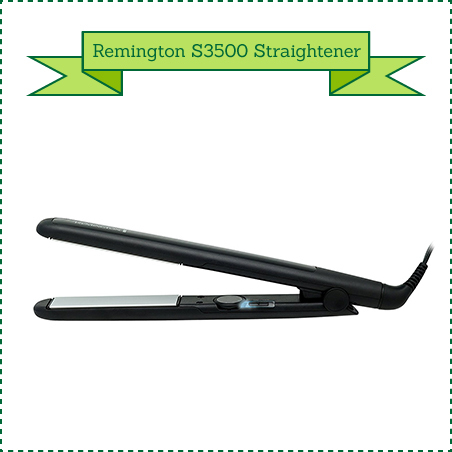 Remington is a well-known and respected brand in the world of hair styling, and their S3500 Ceramic Hair Straightener offers excellent quality at an affordable price. The slightly lower length of the plates allows for more hair to style at once, therefore reducing your overall styling time. The ceramic plates are also protected from scratching and damage from styling products. An included heatproof pouch allows for safe and easy storage. The plates remain closed when stored because they can be locked in position before putting the straightener away in the pouch. 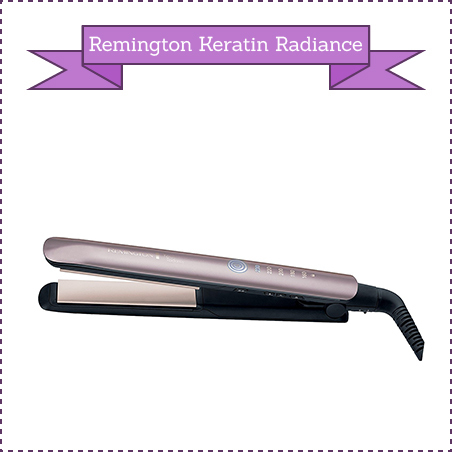 The Remington S3500 has an incredible 30 heat settings to cater for all types of hair and styling needs. The 15-second heat up time means you can get styling almost straight away. The narrow plates may increase styling time if you have long or thick hair. The cord is shorter than many other straighteners which may make reaching a mirror difficult. Overall, this is a cheap and decent quality straightener. If you have fine or short hair, you will be able to style your hair quickly and effectively. It is important to understand your hair type before buying a hair straightener. Our hair straightener reviews offer information about some of the best hair straighteners in 2017 and will guide you in the right direction. Happy styling! Could The Philips Sonicare AirFloss Save The Idea Of Flossing As A Daily Hygiene Practice?